I would like to draw your attention to news reported across various sections of the press (way behind your daily portraits on the front page) that several Missions to the country are equivalently vacant with the duty of appointed high commissioners having expired. This includes Kenya's High Commission to the United States of America. Among your first duties, having assumed duty as Kenya's president, duly elected or otherwise, will be to appoint commissioners to these missions. It is in this regard that I highly invoke you to consider me as a likely appointment to the position of Kenya's High Commissioner to the United States of America. I believe that I am very well suited as an ambassador of Kenya's and Africa's cultural values to the United States. The highlight of my tour of duty will be promotion and protection of our highly distinguished polygamous culture. You do understand that polygamy is banned in the United States, and those practicing it face the threat of prosecution and incarceration. I shall employ my diplomacy skills to ensure that the people of the United States of America do embrace the culture of polygamy, and accept the polygamous within them as been equals. 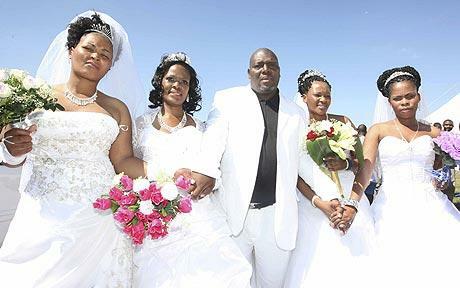 Polygamy is natural and not a choice of any individual, and they shouldn't have to suffer for it. Your excellency, my tour of duty shall also focus on promoting cross cultural exchange with the natives of America, the Red Indians, and other cultures including the Latinos of Florida and the Negroes of Chicago. Cross cultural highlights of my duty shall include polygamy award ceremonies and attempts to revive cultural icons such as Niggas With Attitude (NWA). It is my humble request that you shall highly consider my application.